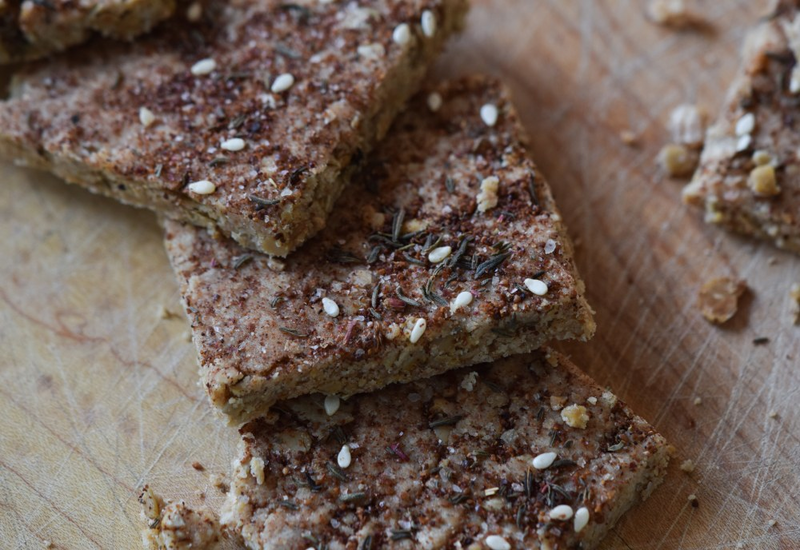 These crunchy seed crackers are inspired by the classic Middle Eastern flavors of tahini and za'atar. If you’ve never made your own crackers, you’ll be surprised at how quickly and easily these come together! Za'atar is a common Middle-Eastern spice blend available online or in specialty markets. Per Serving: 73 calories; 5g fat; 5.3g carbohydrates; 2g protein; 0mg cholesterol; 391mg sodium. Za'atar on everything! These tahini crackers are so good, especially with the added sunflower kernels. I make them in batches and snack on them all day. I just started playing around with za'atar, but I love the way they turned out in these crackers. My wife insists I make her a batch every week now, she likes to take them to work.